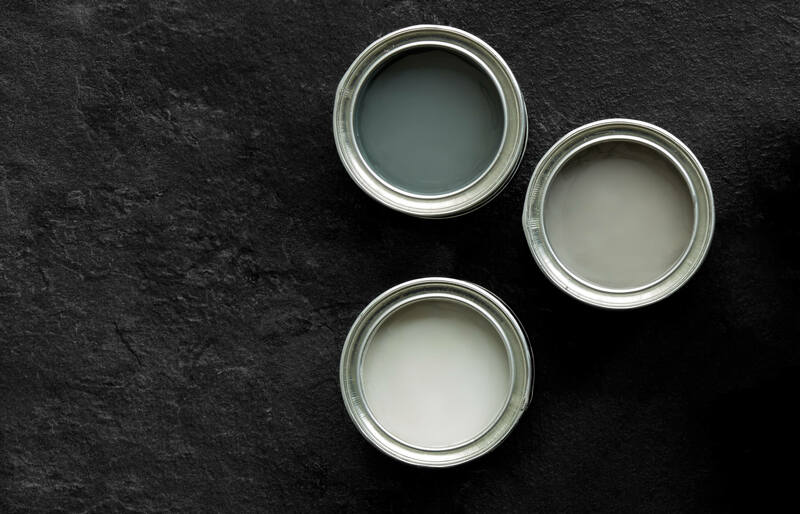 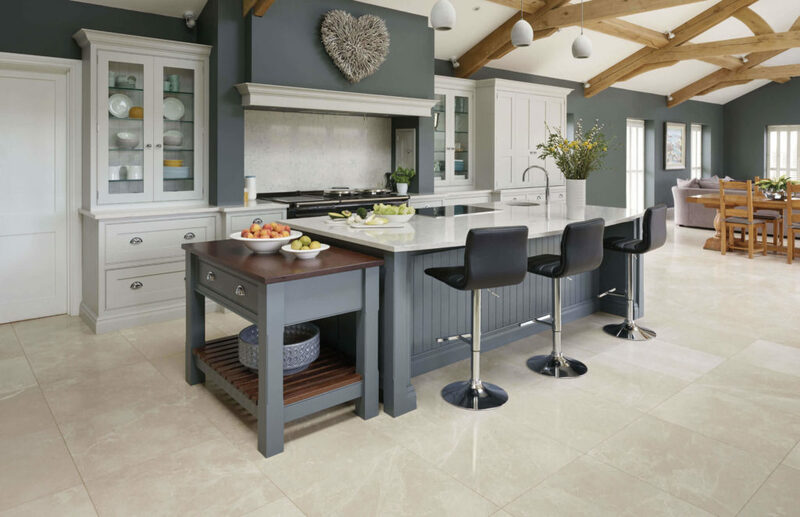 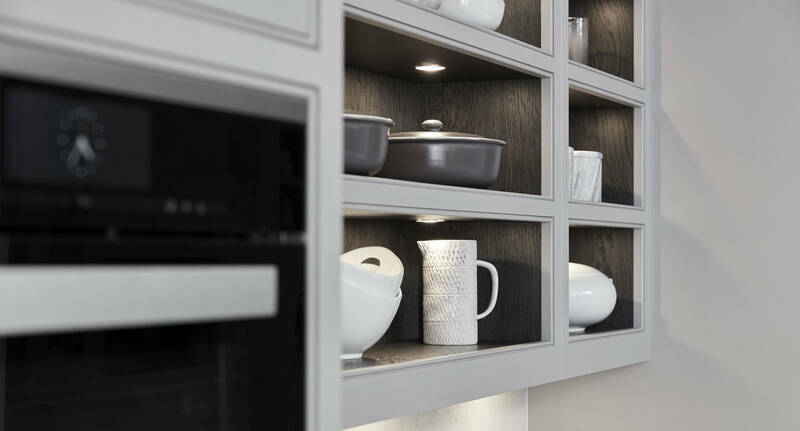 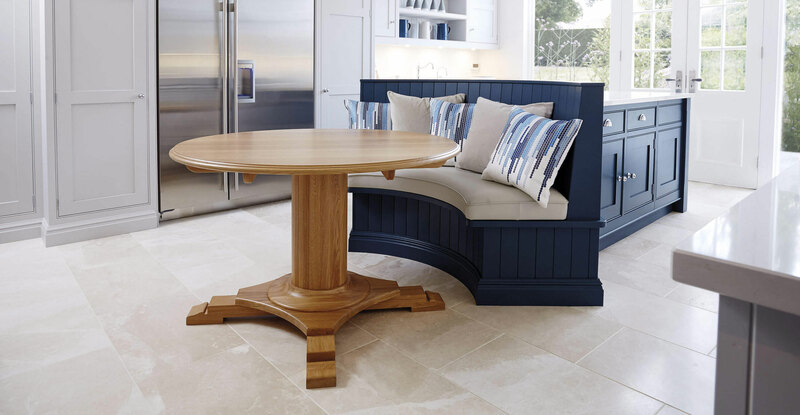 As guests gather at the stunning island centrepiece to sample the dips and nibbles you’ve assembled, sit back and enjoy the moment in your Tom Howley kitchen. 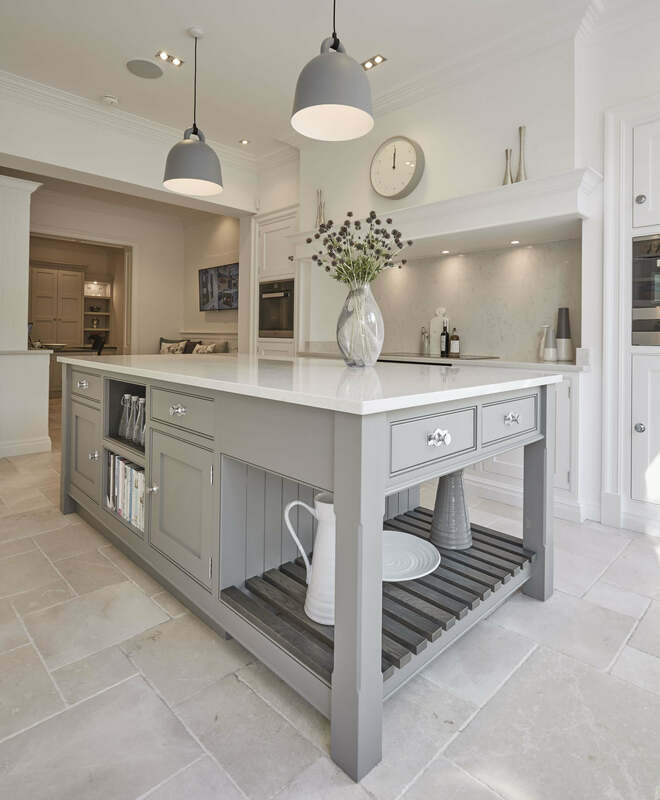 Warm grey hues and soft white tones make this particular shaker kitchen a calming environment for cooking and a sophisticated space for entertaining. 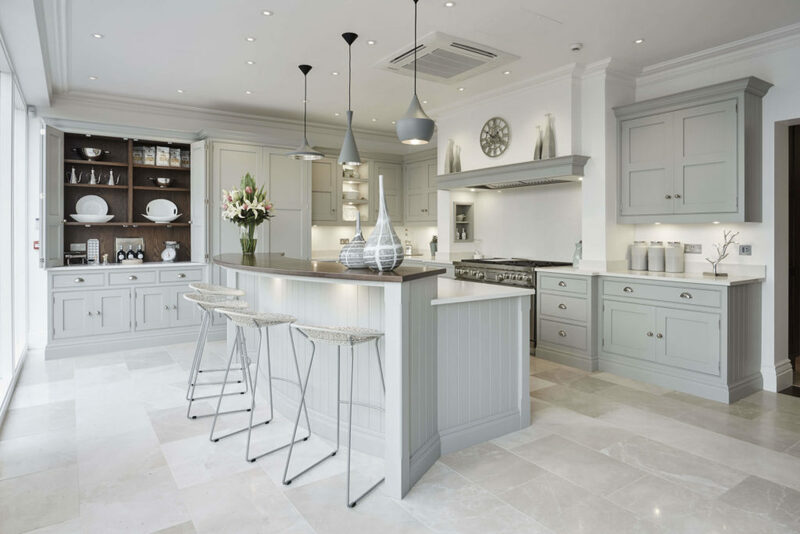 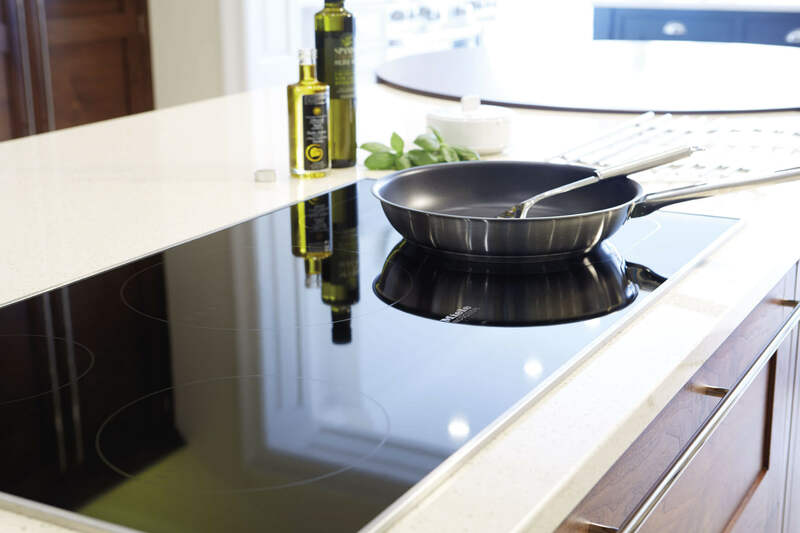 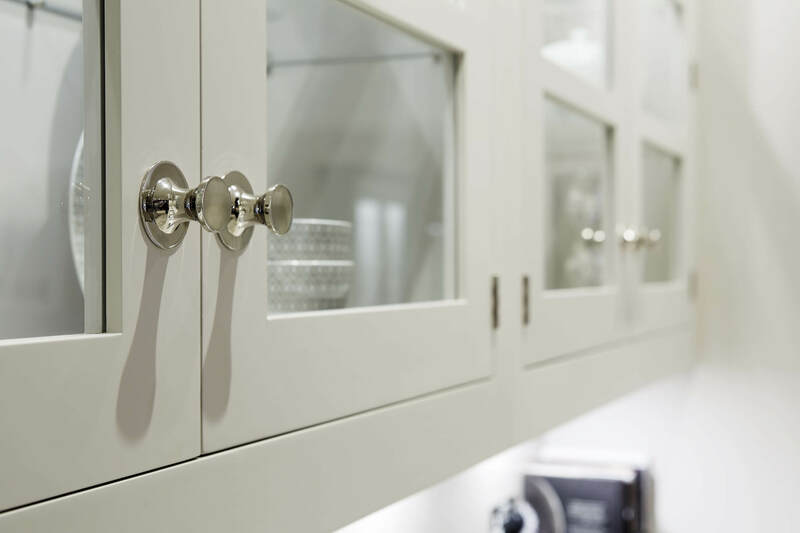 Make every second a pleasure in a luxurious kitchen setting, designed specially for you by one of our expert designers. 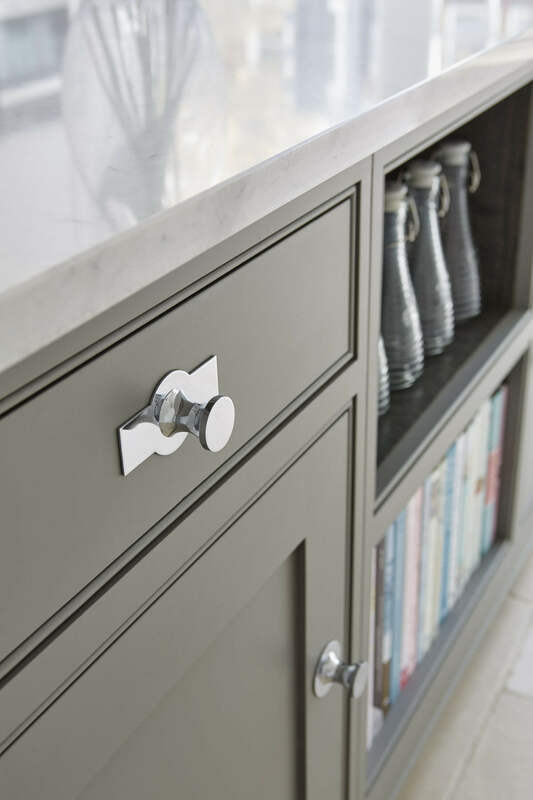 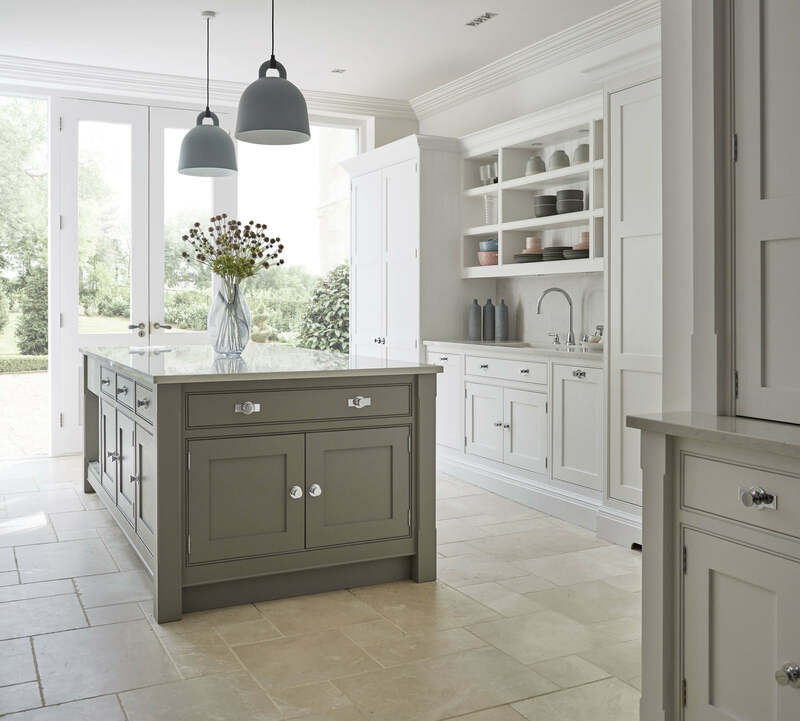 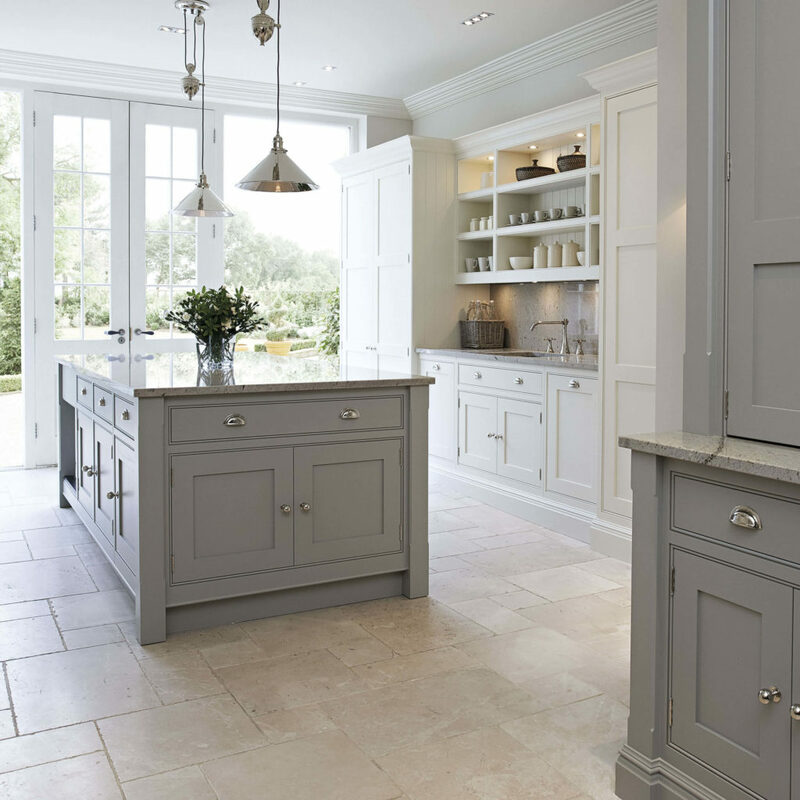 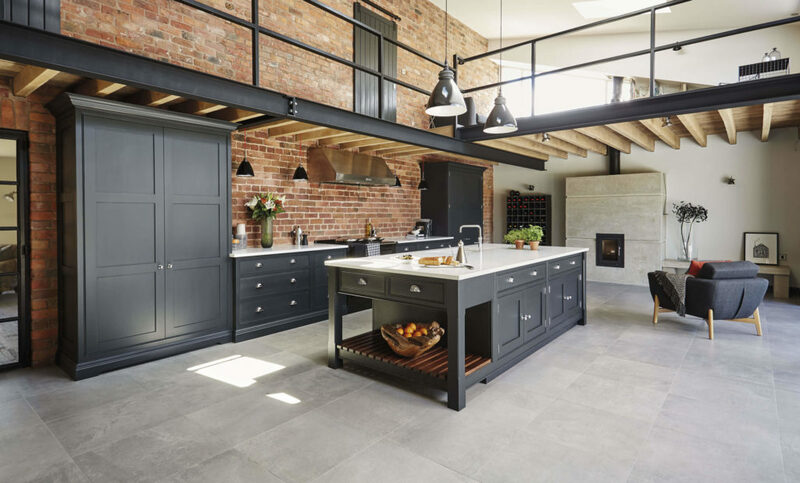 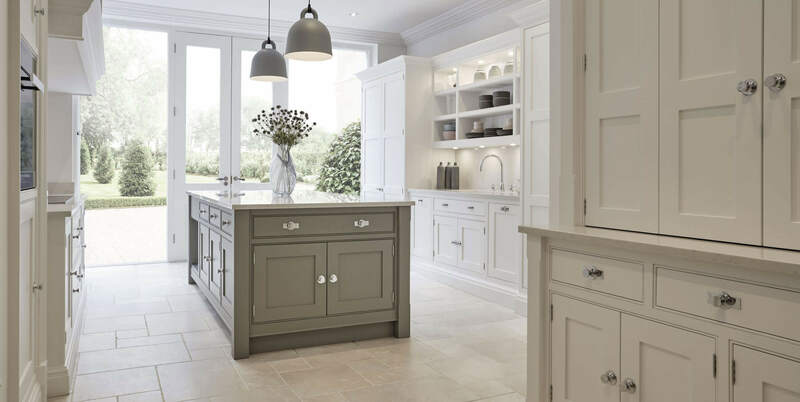 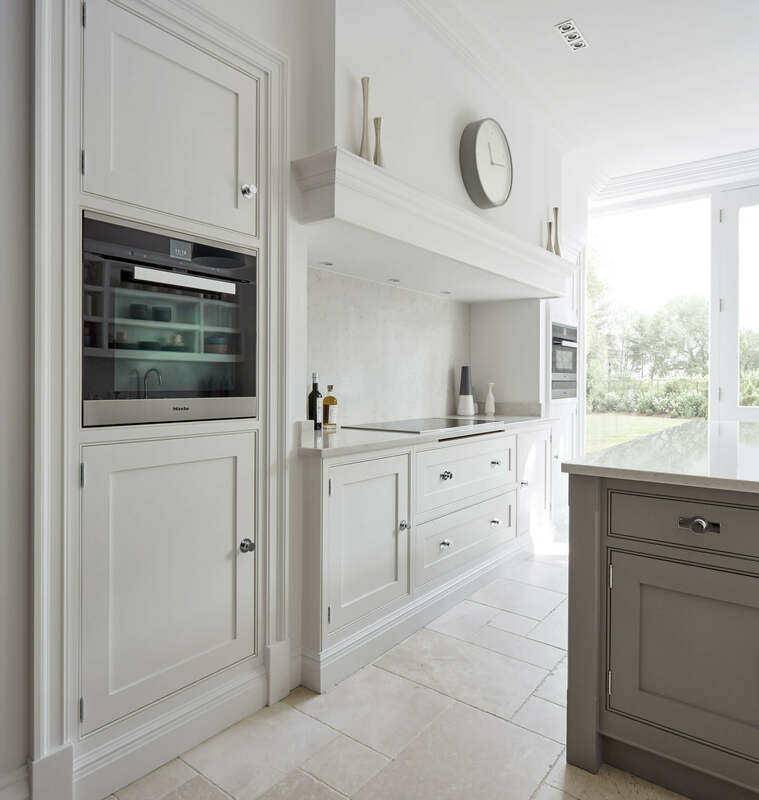 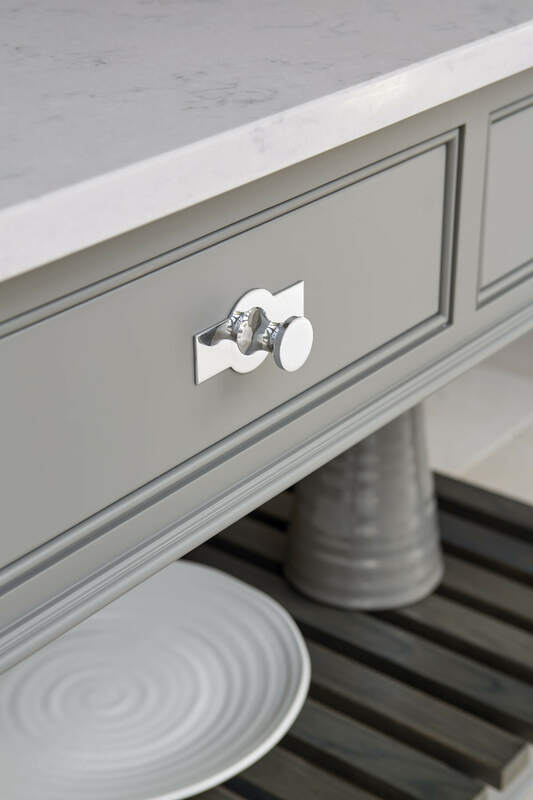 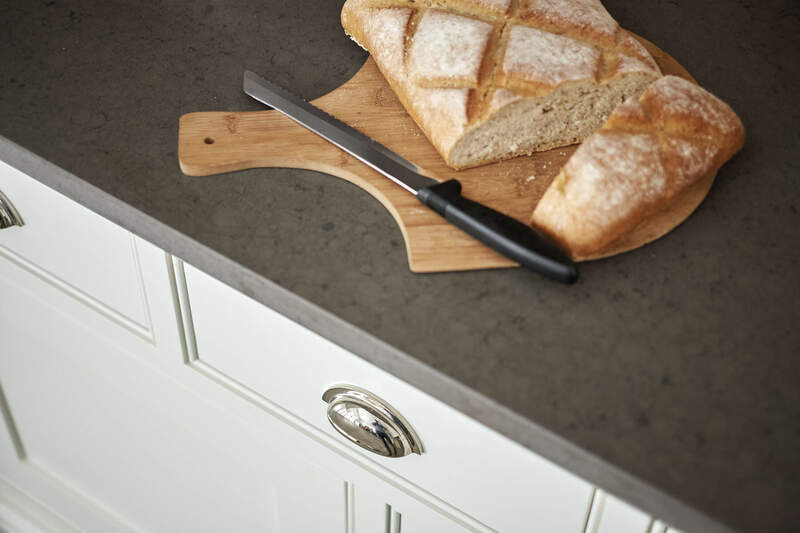 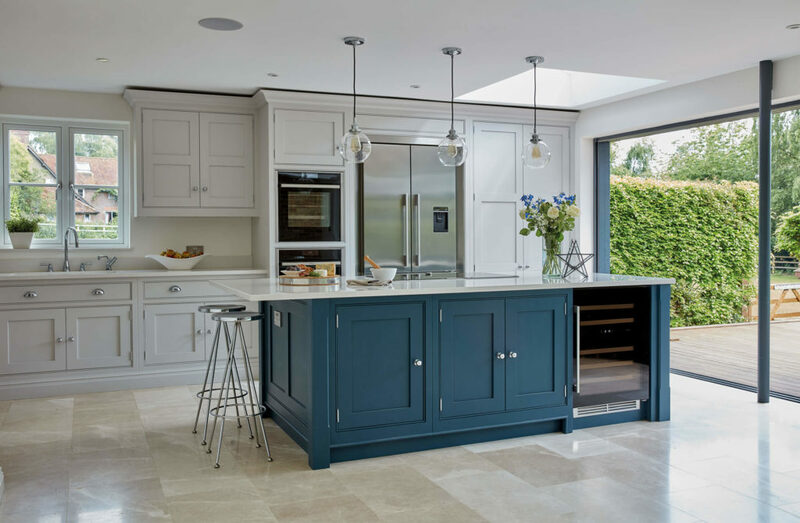 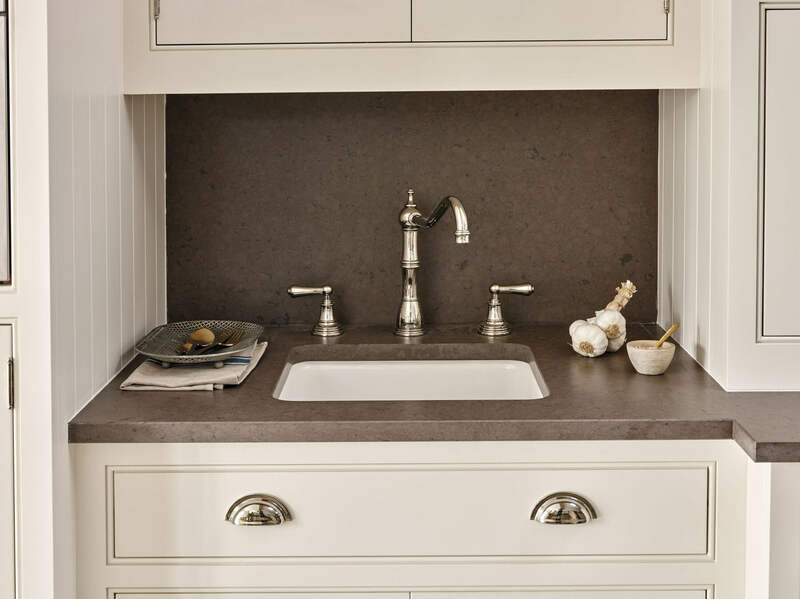 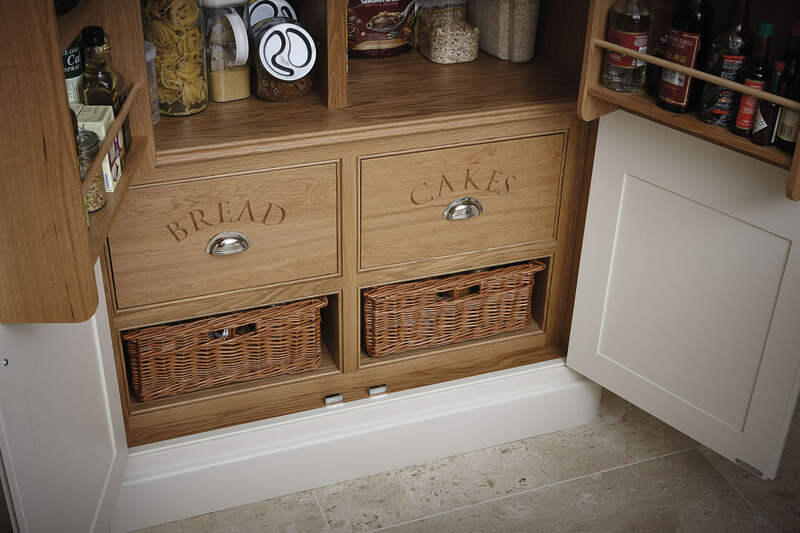 Constructed to the exacting specifications of the client, this elegant shaker-style island is finished in warm greys to complement the rest of the kitchen. 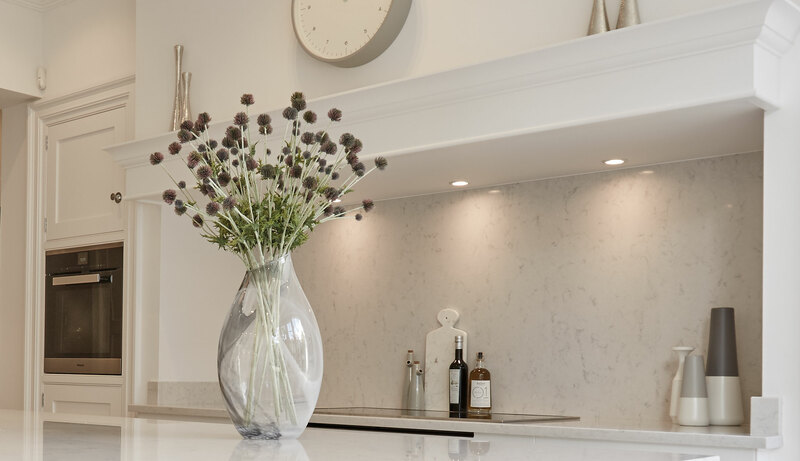 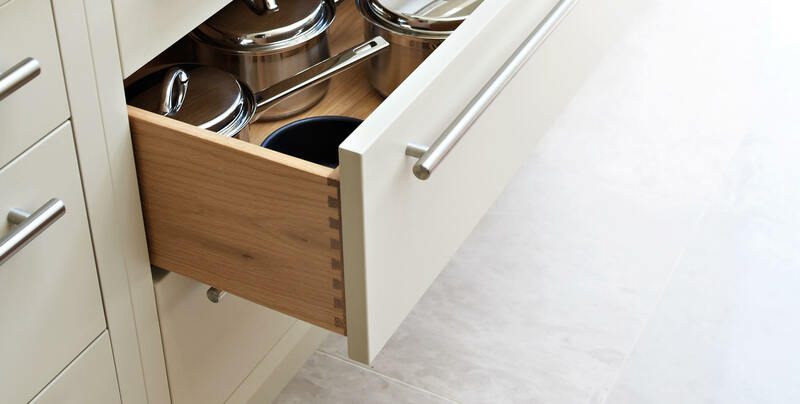 The precision-cut silestone worktop ties the island to the soft whites of the wall cabinets, while the smoked oak base adds a subtle contrast that completes the sophisticated aesthetic. 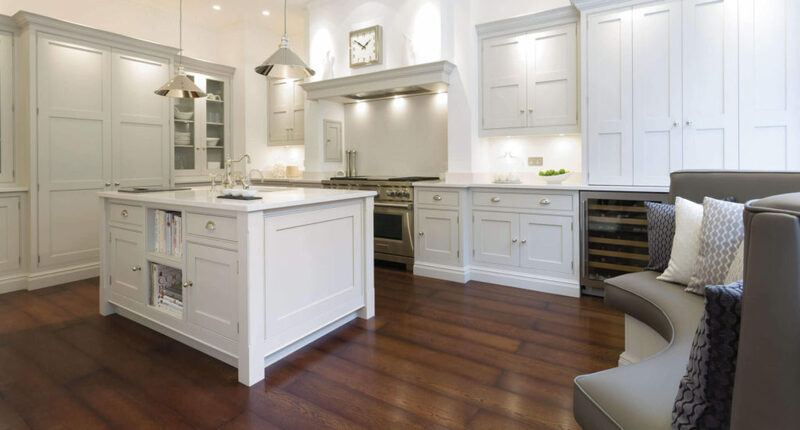 The kitchen isn’t just a place to cook. 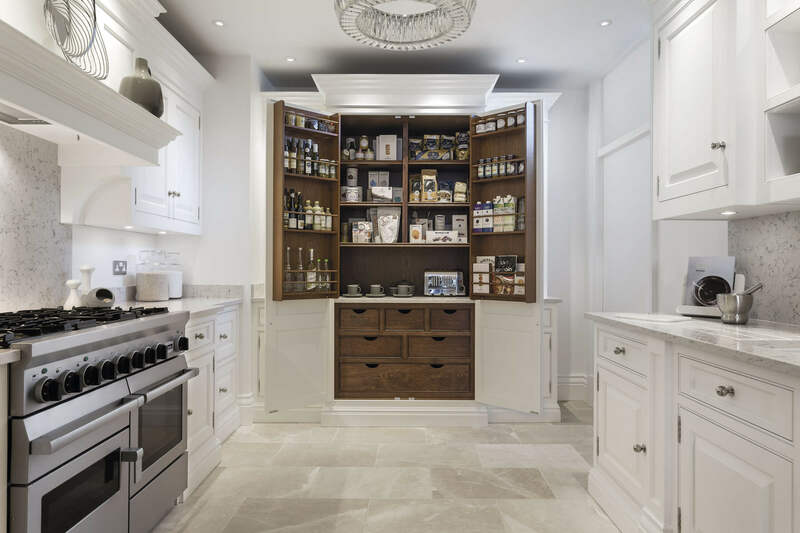 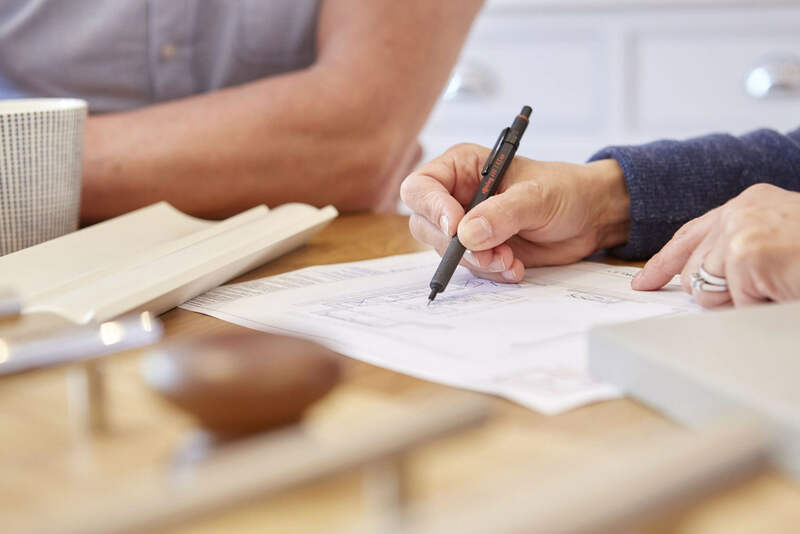 It’s the heart of the home, where families gather to share news of their days and guests mingle over cups of coffee or glasses of wine. 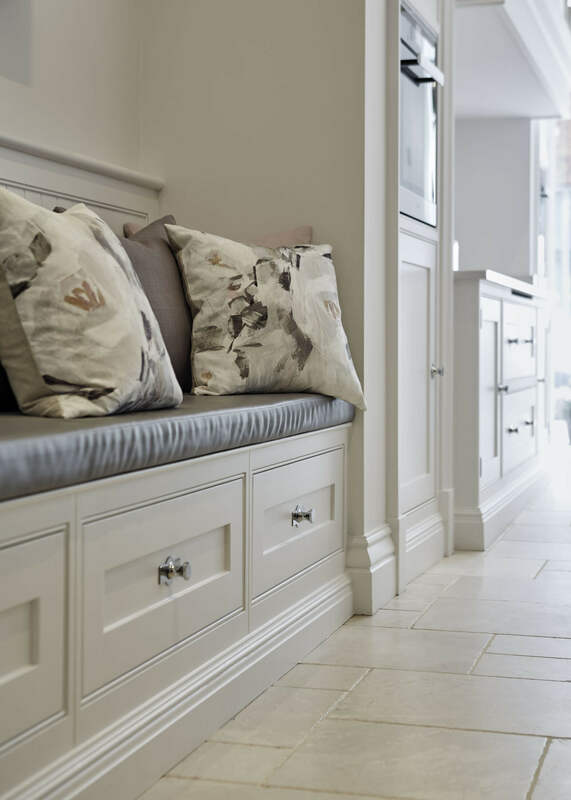 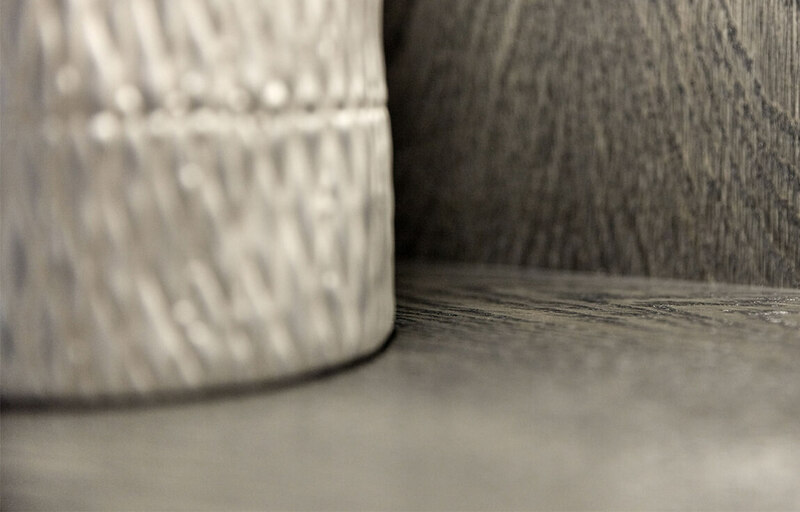 That’s why we’ve added comfortable informal seating that provides a place to socialise without breaking the smooth lines of the kitchen, maintaining the beautifully clean look.